If you’re working on a budget when booking your holiday, there are two options for you getting a good price: you can either book very far in advance, or if this is something that isn’t necessarily plausible for you, last minute holidays would be your best bet. If you are one of those people that is willing to take what they’re given in order to save money, you’ll be able to discover some absolutely fantastic destinations you might not necessarily have chosen if you’d have had other options. This might mean leaving your booking until 4 weeks before you go, even sooner if you’re able to travel alone and grab a cancelled seat on a plane. But the best deals usually appear at around 8 weeks’ notice, so if you’re thinking about booking a last minute holiday, make sure you’ve done your homework about which destinations you’d like to visit and be prepared to grab what you can. You’re probably thinking that the types of places that are on offer for these prices are going to be rubbish, the only ones left over when all the good resorts are taken. But you’d be entirely wrong in supposing this; there are any number of exciting destinations going for last minute prices such as Egypt, San Antonio in Ibiza and the Algarve. Cheap trips to Palma Nova are some of the best last minute deals on offer. If you’ve never been to Palma Nova, you should definitely start considering it. Set on beautiful sloping shores against an aquamarine sea, Palma Nova offers relaxation alongside a lively night time scene. 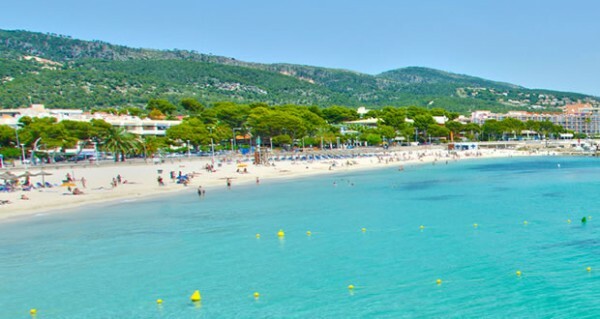 The town is one of the first purpose-built tourist destinations on Majorca and one of the most popular because of this. With its close proximity to Magaluf, it is a popular resort for 18-30 holidaymakers, but also caters for families. Despite having the reputation of a party place, the beaches are renowned for their stretches of clean white sand and are lovely places to relax. For those that would prefer a little more luxury but an easy holiday, Palma Nova is the perfect resort. It is a quick hour and a half flight from most UK airports with only a 20 minute transfer to your hotel at the other end. In high season, it is a busy, bustling place with temperatures reaching 30C in July and August and up to 11 hours of sunshine a day. During this time, there are plenty of activities taking place around the beach: you can’t miss out on taking the chance to try scuba diving or jet skiing. During the winter months, there is the opportunity for a little winter sun, with average temperatures in November being a comfortable 18C and sitting around 12-15C until February. More popular activities during this time would be hiking or horse riding in the beautiful mountain landscape. One thing you cannot miss out on when visiting Palma Nova is sampling some of the local cuisine. Countless traditional bars and restaurants line the pedestrian promenades along the sea front. The main delicacies of the region include seafood, but if this isn’t your thing and you’d prefer to play it safe, there are plenty of fast food outlets available.